Nine-years after joining the New England Patriots, Rob Gronkowski announced his immediate retirement from American football via his Instagram account last night. Coming only a matter of weeks after he won his third Super Bowl with the Patriots, the 29-year-old tight-end stated that it had been "an incredible honor to play for such a great established organization and able to come in to continue and contribute to keep building success." 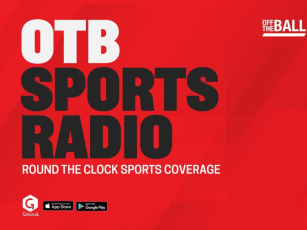 Discussing the surprise retirement of Gronkowski on Monday's OTB AM, Mike Carlson assessed the standing of a player who had proved so crucial to the success of Bill Belichick's New England Patriots. "The most interesting thing about him statistically is that he played in sixteen playoff games," Carlson commented when considering claims that Gronkowski may be the best tight-end the NFL has ever seen. "Put them all together and you have 81 catches, 1,163 yards and 12 touchdowns, which is pretty outstanding for any tight-end. "On a peak level, he's easily the greatest tight-end of all time." However, on raising the question of longevity, Carlson believes there is greater room for argument. "Gronk played nine seasons of which six you could say were full seasons," noted Carlson while drawing comparisons with Tony Gonzalez and the 15-seasons out of 17 he spent playing at the top level. Discussing his occasionally confusing off-field behaviour, the trust Patriots quarter-back Tom Brady had in him and what's to come next for Rob Gronkowski, you can watch back Mike's comments here.